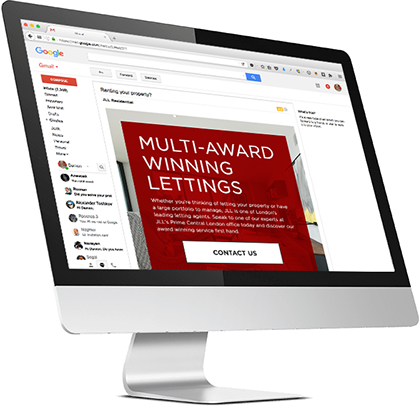 As one of the world’s largest property management businesses JLL required a sophisticated approach to their online marketing. Emotio became responsible for the PPC management of most of JLL’s business areas including Residential, Commercial, Industrial, MENA, Russia and Serviced Offices. 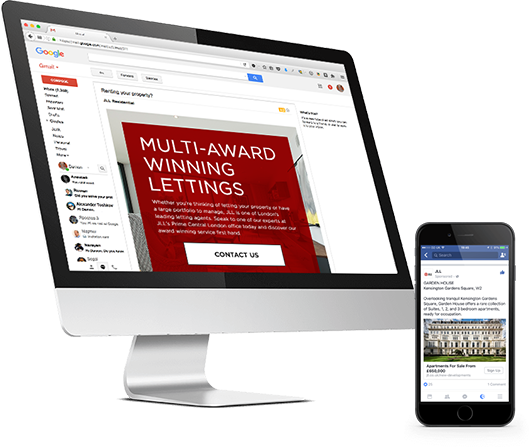 Our social advertising rolled out across Facebook, Twitter, and Linkedin with advertising for New Homes and Residential Agents. After taking over AdWords at the beginning of 2015, we achieved a 78% increase in CTR (Click Through Rate) with a year on year 212.03% growth in goal conversions. The cost per conversion also reduced by 61.86% with the conversion rate improving by 210.15%. 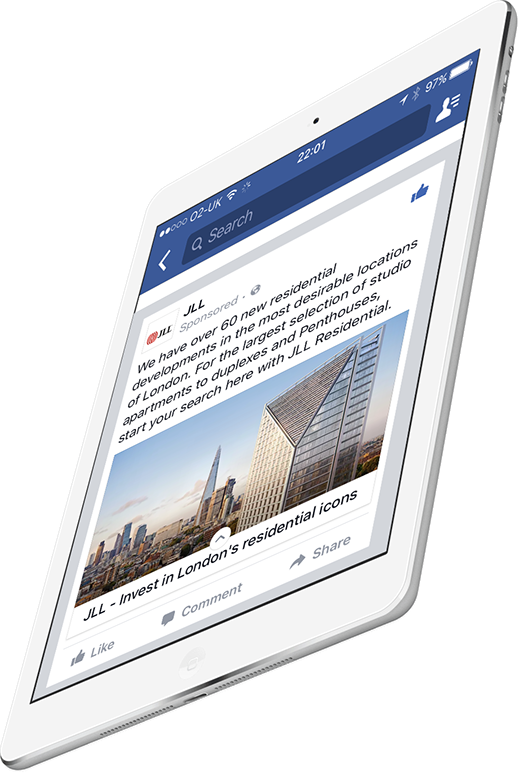 Using Facebook ads, over a 30 day period, we placed the JLL brand in front of 500k highly relevant and local Facebook users. We generated clicks for an average of 18p a click. The New Homes lead forms came in at £4.19 per form completion. Our campaigns covered both Google’s search network and Display, with a strong re-marketing campaign. We also ran adverts in Russian with Russian keyword targeting to attract investors in the UK market. Residential campaigns were targeted geographically at profiled users who were likely to be considering selling or letting their property. New Homes had many different target audiences, ranging from international property investors who had recently been in London’s financial district to high net worth individuals, based in the UK with an interest in investments. Twitter and Linkedin had equally refined audiences. Emotio not only designed and built JLL’s Prime London website, W.A.Ellis, but we also carried out the optimisation of the site several years ago. Even today the site has nearly 600 keywords ranked in Google with phrases like ‘estate agents Knightsbridge’ and ‘South Kensington estate agents’ in top 3 positions. Much of our advertising was targeted to mobile users. With the average smartphone user checking their phone 150 times a day vastly increases the ability to get in front of your audience at the right time. 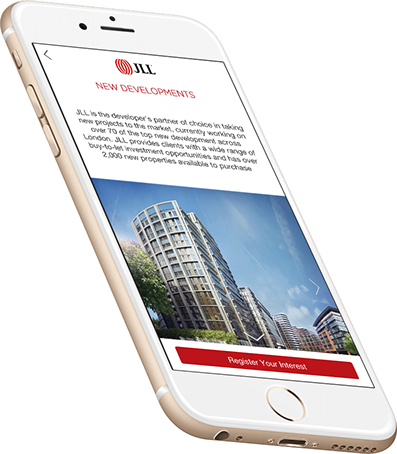 Mobile engagement and brand awareness were key parts to the JLL campaign and as such, using trackable links, we identified nearly 20% of the residential site traffic came via mobile advertising. We now also run various campaigns directly for development companies who are selling new build projects in London. If you would like to know how to take advantage of paid advertising to drive relevant visitors to your site contact us today.